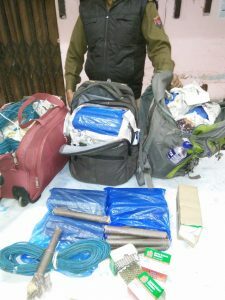 In a sensational incident, Personnel from the Government Railway Police seized three bags containing explosives at the Guwahati railway station on Monday morning during a routine checking. The GRPS personnel recovered the three bags found abandoned at platform number 3 while Up Abodh Assam express train was at the platform. It was 5:45 am in the morning on Monday. 2. Detonators 500 pieces in 5 packets. 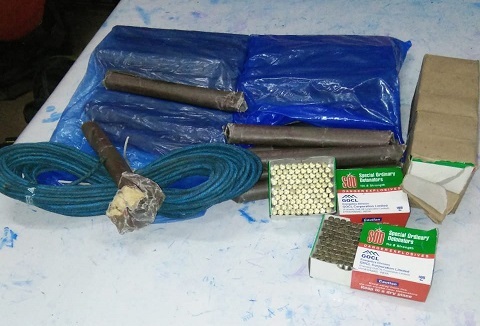 All the items are seized and a case has being registered in this regard. Meanwhile, investigation is on and details are awaited.